Be courteous during video presentations. Keep noise level to a minimum. Anime Matsuri reserves the right to refuse admission to Panels/Workshops/Viewing rooms to those under 18 during videos and/or panels with adult content. Be careful with Laser pointers. They are not harmless toys; they are capable of inflicting serious eye damage. Irresponsible use of a laser pointer will result in loss of membership and expulsion from the convention. Water guns and projectiles are not allowed in convention space, any use of them in public will result in loss of membership and removal from the convention. All involved parties will be required to pay the cost of any property damages suffered by individuals, dealers or the hotel. Failure to follow the rules may result in loss of membership and expulsion from the convention. Cosplay is one of the main features of Anime Matsuri. We kindly ask all Cosplayers to be tasteful with their choice of costumes. Be careful with large and bulky costumes or costumes that have large or bulky accessories especially in high traffic areas. Name badges are your access to the convention (Certain area require additional wristbands). You cannot be in the convention without a Name badge. In case of loss, please report to registration immediately. You may be required to wait in line again & pay for a new badge so be careful with your name badge. A parent or guardian MUST accompany children 12 years and below at all time. It is their responsibility. Smoking is prohibited throughout this event. Legal drinking age of Texas is 21. Drugs, theft and vandalism are illegal and will result in prosecution. All kinds of photography or video recording is strictly prohibited during the Main Events Concerts, only exception is official Anime Matsuri staff photographers and pre-approved press members. No other exceptions. If you are caught violating this rule, your recording device is subject to being confiscated, your badge subject to being taken from you and you are subject to being removed from the convention with no refunds. By attending Anime Matsuri’s Main Events Concerts, you understand and agree to the above rules. Everyone in the convention space including the Main Events Arena must have a valid badge or wristband. ANIME MATSURI understands that carrying props and replicas is important to many fans as part of the convention experience. Fans of prop weapons or other items permitted below must understand that they use and carry them at their own risk and assume all risks of liability to and from anyone injured or otherwise harmed directly or indirectly by the fans acts or inaction and property damaged. ANIME MATSURI shall not be liable for injury, harm, property damage, or other liability associated with any person`s use of any weapon, permitted, or banned, at ANIME MATSURI. Swords, Axes, Spears, Pikes, Staves, etc. should be made out of wood, PVC, foam, plastic, cardboard, or paper. ABOSOLUTELY NO METAL weapons will be permitted on convention grounds. Exotic weapons will be dealt with on a case-by-case basis. Do not bring weapons that Anime Matsuri Staff, Convention Security, Hotel security, Houston Police Dept., and Montgomery County Sheriffs cannot tell are fake from ten feet away. Weapons that are purchased in the dealers room at ANIME MATSURI must be kept wrapped and then immediately removed from the convention following purchase. Drawing a weapon in the convention space, including parking lots, may result in immediate revocation of convention membership. Keep in mind, police will assume all drawn weapons are functional, and will act accordingly. . These rules are for your safety and the safety of ANIME MATSURI. We are posting and enforcing these to protect you the con-goer, and our staff from harm be it physical, or legal. The rules are NOT open to interpretation nor will they be a point of argument. The rules are final and if they are broken, your badge can and will be pulled and you will not be allowed to participate in any future ANIME MATSURI events. 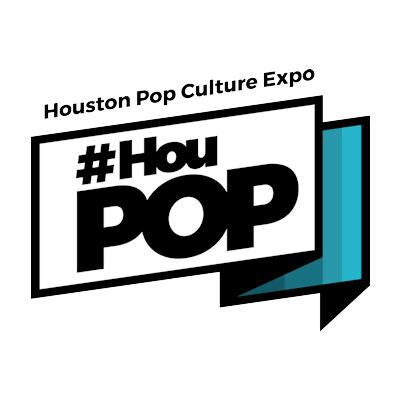 Autographs and Photo Ops will be held in Exhibit Hall C/Vendor Room. The Autograph/Photo Op Booth will be located by the Anime Matsuri Booth. Open during regular Exhibitor Hall hours. Attendees are not allowed to line up for an autograph session more than 30 minutes before the scheduled start time. Attendees gathering in the vicinity of the autograph room before that time will be asked to disperse. For Musical Guests, autographs are only allowed on the artist’s merchandise purchased at the convention. One item per person. Only properly licensed goods are allowed for autograph. All international guests will require the attendee to have OFFICIAL MERCHANDISE to get an autograph. If a guest requires official merchandise, this means they will ONLY sign their merchandise sold by the Anime Matsuri Booth. Autographs are FREE. Yes, FREE. Reservations/Tickets do not cost anything. Limited to 90 people per session. To guarantee an autograph or photo, attendees must receive an autograph reservation/ticket from the Autograph Booth. There are no pre-sales; FIRST COME, FIRST SERVE. For Volunteers, we are introducing our new VPP system (Volunteers Priority Pass). This pass allows volunteers to line up behind Superpass. More detailed information about the VPP system will be announced. Merchandise will be sold at the Anime Matsuri Booth during regular hours AND at the Autograph Session after the concert: location TBA. Reservations for musical act(s) autographs will be handed out during regular hours, if there are any remaining, they will be at the Autograph Session after the concert. Photo Ops can be purchased at the Autograph Booth. CASH ONLY. Reservation/Ticket required. Limited to 60 people. Photo Ops include: One official Anime Matsuri printed picture and a selfie with the guest.